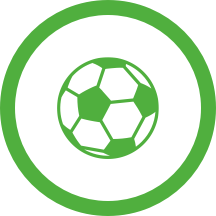 The AC Milan - Inter Milan (Football - Serie A) match in 17/03/2019 15:30 is now complete. Now that this Football (Serie A) match is over and the score is known, you can find the highlights and key statistics on that same page. That's full-time at Giuseppe Meazza. The final score is 2 - 3. Throw-in for Inter Milan at Giuseppe Meazza. Throw-in for Inter Milan in their own half. Corner awarded to AC Milan. AC Milan needs to be cautious. AC Milan have an attacking throw-in. Ball safe as AC Milan is awarded a throw-in in their half. Inter Milan awarded a free kick in their own half. Marco Guida signals a Inter Milan throw-in in Inter Milan's half. Marco Guida will wait an extra 6 minutes before blowing the whistle to end the second half. Throw-in for AC Milan at Giuseppe Meazza. Andrea Ranocchia is replacing Matias Vecino for Inter Milan at Giuseppe Meazza. Samu Castillejo (AC Milan) strikes at Giuseppe Meazza but his header is cleared. AC Milan have a goal kick. Roberto Gagliardini (Inter Milan) gets a yellow card. Andrea Conti for AC Milan has been booked by Marco Guida and receives a first yellow card. Free kick for Inter Milan in their own half. Andrea Conti (AC Milan) has been shown a straight red card by referee Marco Guida. Important block from the AC Milan defence as Ivan Perisic fires in a strike for Inter Milan. Marco Guida signals a free kick to AC Milan in their own half. AC Milan's Krzysztof Piatek gets his shot away but it misses the target. Ball goes out of play for a Inter Milan goal kick. In Milan, Hakan Calhanoglu of AC Milan is presented with a shooting opportunity. But the strike is blocked by the covering defence. Inter Milan are coming forward and Lautaro Martinez gets in a strike, it misses the target, however. Luciano Spalletti (Inter Milan) is making a second substitution, with Antonio Candreva replacing Matteo Politano. AC Milan have a dangerous throw-in. Marco Guida awards AC Milan a goal kick. Goal kick for Inter Milan at Giuseppe Meazza. Marco Guida signals a throw-in for AC Milan, close to AC Milan's area. It's getting dangerous! Free kick for Inter Milan close to the penalty box. Suso (AC Milan) has received a first yellow card. Matias Vecino (Inter Milan) has been booked and must now be careful not to get a second yellow card. AC Milan push upfield but Marco Guida quickly pulls them for offside. In Milan a free kick has been awarded the away team. Borja Valero (Inter Milan) has replaced the possibly injured Marcelo Brozovic. Attention is being given to Inter Milan’s Marcelo Brozovic and play has been suspended briefly. AC Milan drive upfield and Alessio Romagnoli gets in a shot. The strike is blocked by a Inter Milan defender. Goal! AC Milan reduce the deficit to 2 - 3 through Mateo Musacchio. Can AC Milan get the ball into an attacking position from this throw-in in AC Milan's half? The home team have replaced Franck Kessie with Andrea Conti. 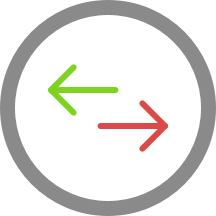 This is the third substitution made today by Gennaro Gattuso. Lautaro Martinez smashes in a penalty at Giuseppe Meazza. The score is now 3 - 1. 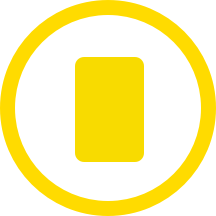 Alessio Romagnoli (AC Milan) gets a yellow card. He will be suspended from the next match! Inter Milan to take a throw-in in Inter Milan territory. Free kick for Inter Milan in the half of AC Milan. Inter Milan are whistled for offside. Inter Milan's Ivan Perisic breaks free at Giuseppe Meazza. But the strike goes wide of the post. Patrick Cutrone is on a sub for Ricardo Rodriguez for AC Milan. Inter Milan have a goal kick. Tiemoue Bakayoko (AC Milan) heads in to reduce the deficit to 1 - 2. That's a fine assist from Hakan Calhanoglu. AC Milan awarded a throw-in in their own half. Matteo Politano instrumental with a fine assist. Goal! Inter Milan increase their lead to 2 - 0 through a well-placed header from Stefan de Vrij. Inter Milan have been awarded a corner by Marco Guida. Inter Milan push forward at Giuseppe Meazza and Lautaro Martinez gets in a strike. This is blocked, however, by a determined AC Milan defence. Ball goes out of play for a AC Milan goal kick. Throw-in high up the field for Inter Milan in Milan. Inter Milan's Roberto Gagliardini is on target but unsuccessful. Can Inter Milan capitalize from this throw-in deep inside Inter Milan's half? Throw-in for Inter Milan in the half of Inter Milan. The home team replace Lucas Paqueta with Samu Castillejo. The second half has started at Giuseppe Meazza. Hakan Calhanoglu (AC Milan) goes for goal but the shot is blocked by an alert defence. Free kick in a good position for AC Milan! In Milan Inter Milan attack through Matias Vecino. The finish is off target, however. Can Inter Milan get the ball into an attacking position from this throw-in in Inter Milan's half? Goal kick for AC Milan at Giuseppe Meazza. Milan Skriniar's header is off-target for Inter Milan. Marco Guida signals a free kick to Inter Milan. Throw-in for Inter Milan close to the penalty box. Throw-in for AC Milan in their own half. Marco Guida signals a free kick to Inter Milan in their own half. Ricardo Rodriguez (AC Milan) has been booked and will miss the next match due to a suspension. Matias Vecino for Inter Milan gets in a strike but fails to hit the target. Marco Guida signals a throw-in for Inter Milan, close to Inter Milan's area. Inter Milan needs to be cautious. Inter Milan have an attacking throw-in. Hakan Calhanoglu of AC Milan smashes in a shot on target. The keeper saves, though. In Milan a free kick has been awarded the home team. Inter Milan drive forward and Matteo Politano gets in a shot. Without netting, however. AC Milan surge into the attack at Giuseppe Meazza but Lucas Paqueta’s header is off-target. Marco Guida signals a free kick to AC Milan. Inter Milan's Matias Vecino gets in a shot but it is blocked by a AC Milan defender. Inter Milan drive upfield and Marcelo Brozovic gets in a shot. The strike is blocked by a AC Milan defender. Inter Milan's Marcelo Brozovic has been booked in Milan. Ivan Perisic (Inter Milan) is given an opening but the shot is blocked by a defender. Free kick for AC Milan in their own half. Tiemoue Bakayoko is back on his feet again. Roberto Gagliardini is back on the pitch. Play has been resumed at Giuseppe Meazza. Free kick for AC Milan in the half of Inter Milan. Marco Guida waits before resuming play because Tiemoue Bakayoko for AC Milan is still down. Play has been interrupted briefly in Milan to check on Roberto Gagliardini, who is grimacing with pain. Lucas Paqueta for AC Milan drives towards goal at Giuseppe Meazza. But the finish is unsuccessful. AC Milan have been awarded a corner by Marco Guida. Inter Milan awarded a throw-in in their own half. Matias Vecino is on target to give Inter Milan a 1 - 0 advantage. Lautaro Martinez with an assist there. The big names in today's match at Giuseppe Meazza have now been confirmed. It is reported that 77479 spectators are in attendance today.